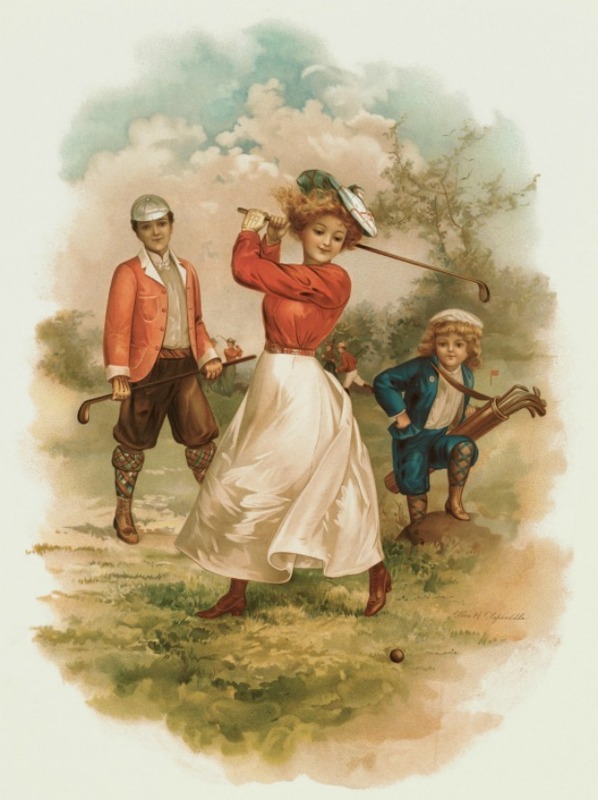 Illustration of a Woman Playing Golf by Ellen Clapsaddle, 1902. The 1898 edition of The Capital gives a list of essential tips for female golfers who wish to play the game in mixed company. I present them to you below in no particular order. 3) Don’t Cast a Shadow Over a Man’s Golf Ball. 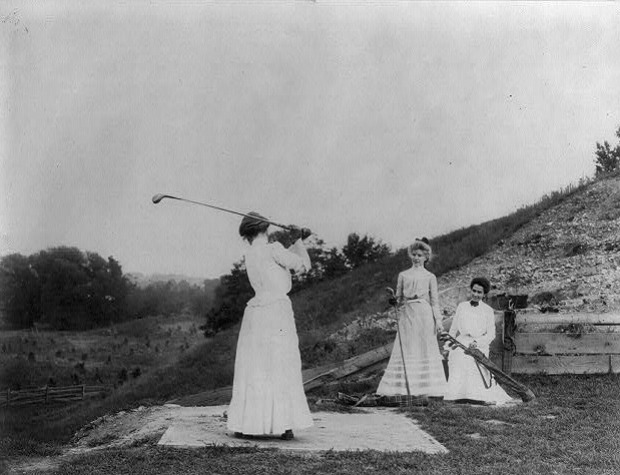 Three Women Playing Golf, Jackson Sanitorium, 1890. 4) ‘Fore!’ is a Warning, Not a Consolation. 5) Don’t Daydream or Dawdle. 6) Stay Out of the Men’s Café. Western College Women Golfing, n.d.
For men who were obliged to golf with a female, The Capital offers several additional tips. Most of these consist of strictures on exhibiting patience when partnered with a woman who played poorly and slowed down the man’s game. Below are the top six tips in no particular order. 1) Keep Your Coat On. 2) Pretend to Like Her as Much as You Like Your Golf Ball. 3) Remember that Women are Not Athletic. 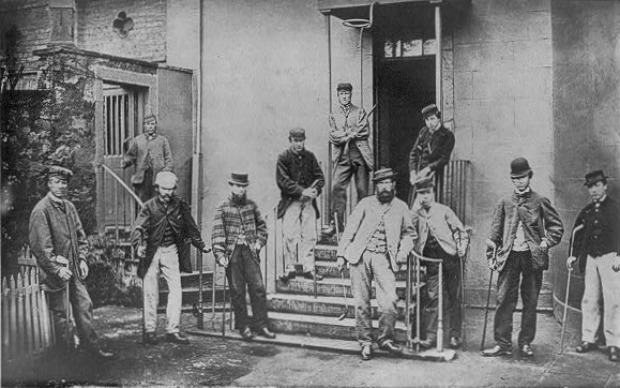 Grand golf tournament by professional players on Leith Links, 17th May 1867. 4) Offer Your Help When Needed. 5) Don’t Yell at Her for Slowing You Down. Mr. Horace Gordon Hutchinson by Leslie Ward, Vanity Fair, 1890. There’s lots of golf on this week. If you’re watching, I hope you will spare a thought for those determined lady golfers from the Victorian era—and for those Victorian men who responded to their presence on the golf course with good manners (if not outright enthusiasm). The Capital, Vols. 7-8. Los Angeles: Capital Publishing Co., 1898. Golf Illustrated, Vol. III. 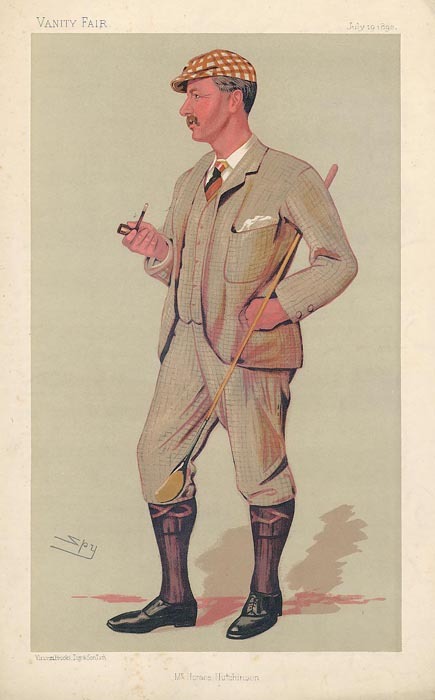 London: Golf Illustrated, 1900. Hutchinson, Horace Gordon. The Book of Golf and Golfers. London: Longmans, Green, and Co., 1900. Even though I’m not a golfer (my boss is an avid one), this seems mostly good advice, even for the 21st century. Except for not drinking in the men’s cafe, of course! Lol! I agree, Pam. If you take out the gender references, some of these tips could apply to both men and women who talk too much or dawdle on the golf course. So glad to not be playing golf or any game in those times… it would be really hard for me to be quiet… seriously quiet! Ha! 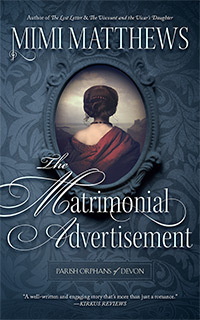 :) Great article… love it! 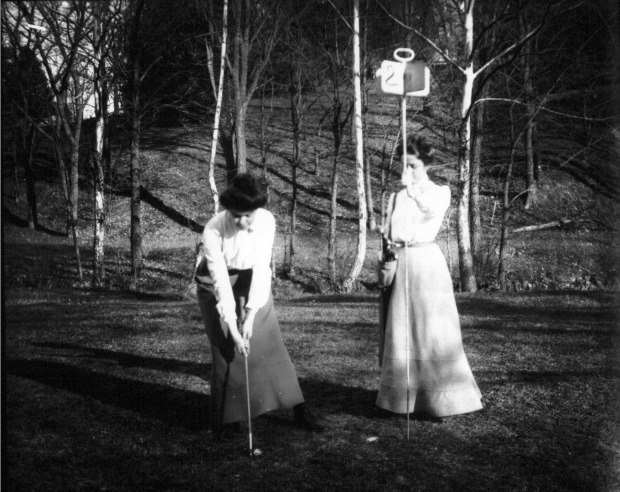 These are so interesting – had no idea golf was that popular for women before the turn of the century. Had a few giggles with them!